The ideal candidate for this post will be responsible for coordinating daily project finance, reports, administrative and procurement activities and data collection, work closely with the national volunteer to build their capacity and keeping in support the Enhancing Employability through Vocational Training (EEVT) Project to deliver the desired outcomes. Bachelor's degree in Human resources, Business Administration, Marketing, mass communications or social science is required. Project co-ordination - experience of project co-ordination. Time management skills. Strong organisation skills. Self motivated, ability to use own initiative, flexibility. Decision making - Sound judgement and the confidence to take independent action; a high degree of initiative and persistence combined with high levels of discretion and diplomacy. Communication - Ability to build productive working relationships. Excellent interpersonal skills, working effectively with others, listening, understanding and achieving appropriate results. Information Technology and Numeracy -Demonstrably numerate; confident, experienced and accurate when dealing with financial and other performance information. Proficient knowledge of Information Technology and excellent working knowledge of standard Microsoft Office software. Planning and Time Management: significant experience of an administrative role, managing and prioritising a varied workload, achieving high quality results, meeting deadlines with minimum supervision. Flexibility: able to adapt to new and demanding situations. As a project officer, you will be working directly with young and highly motivated volunteers and you can make a difference in helping communities lift themselves out of poverty. In this role, you will be responsible for the effective delivery of the International Citizen Service (ICS) project by supporting several team leaders, working with partners and donors, proactively building and maintaining relationships with host homes and support volunteers by guiding them in project implementation and upholding safety, security and welfare processes in the target community. The ICS project is implemented by young people in the age of 18 to about 25, so when you are passionate about making a difference with young people and for young people to fight poverty, this is your job! Bachelor degree or equivalent, preferably but not necessarily in marketing, business studies or related areas. • Direct experience of working cross-culturally. Communication – ability to communicate, both oral and written, with a range of audiences in fluent English and confident in public speaking. Analysis, planning and problem-solving – able to develop clear and realistic plans to deliver agreed objectives within deadlines, involving key stakeholders in the process. Experience of designing, monitoring and evaluating youth programmes in an international context with the help of M&E tools and processes. 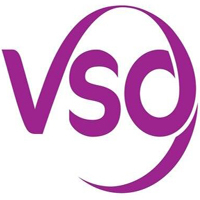 VSO values a diverse workforce and welcomes applications from all sectors of the community and aim to be an equal opportunities employer. However VSO will not be providing working permit for candidates selected for this role hence those that have right to work in Tanzania are strongly encouraged to apply. Due to anticipated interest in this post, only short listed candidates will be contacted for interview. Finance Assistant will provide support to the finance department for smooth running of VSO Tanzania Country Office. Maintain accurate records of VSO business loans, advances, and allowances paid to staff and volunteers. Ensure all finance matters are correctly recorded on individual files. Also Prepare vouchers for all payments and receipts and prepare cheque with adequate supporting documents for signature as necessary.if you possess finance skills and interested to this role, this might be your job! • Technical Accounting Expertise –Minimum (Bachelors) degree in Accounting, Finance or related degree. • Good technical accounting skills. Experience book keeping practice and principle, knowledge of internal controls, general ledger, cash management and reconciliations. Experience of financial reporting, measurement and analysis. • Experience of rules and regulations for non-profit organizations. • Knowledge of donor rule, regulations, grant funding policies, financial reporting, finance and procurement procedures , proven ability to develop and monitor program budgets, donor relation and compliance. • Financial and Information Technology Systems – Advanced knowledge of Microsoft Office, Excel particularly. • Over 2 years work experience in the NGO and accounting experience. • Planning and Time Management – Able to prioritize tasks, manage time and tight schedules, work effectively under pressure, meeting deadlines. • Fluent in spoken and written English. •This position is open to national candidates only. The incumbent will provide administrative and support to the volunteers, Ensure that the information to pay volunteer allowances is entered into Sales force. Ensure that the volunteer files on Sales force and on hard copy is complete, to include as a minimum. Ensure staff that volunteers are aware of the various health policies as laid out in the Learning Hub (see Volunteer Support/Health) and refer to them especially in cases of pregnancy, dental treatment, HIV. Ensure volunteers are aware of and comply with VSO’s medical guidelines.If you want to resilient communities and work with volunteers and staff from different culture, this might be your job! A bachelor degree in business, marketing, international relations, communications or related subject. The ideal person for this position will conduct a nationwide context analysis on social accountability for the youth in Tanzania. The researcher will conduct a (quantitative) desk research as well as consulting and conducting informative interviews with key stakeholders. This consultation will help draw learnings and good practices for future programming. This analysis will help us to make the critical decisions as to where the most vulnerable are, their needs and therefore our choice for the geographical focus in our programming. The findings from this assessment will help inform VSO Tanzania country strategy on social accountability for the youth and will reflect VSO’s people first strategy. Good interpersonal / human relations skills.